It appears that issues continue to affect Pixel 3 devices after the latest security updates pushed out by Google. It's not the first time, and probably not the last, that the Pixel phones get bugged after they receive a software update. Many Pixel 3 owners have taken it to Reddit to complain about an issue with their text messages. It looks like after the November security update, some (if not all) text messages stored on the Pixel 3 suddenly disappear. The issue dates from last week, as redditor chainsaw_huffing claims that he had issues with the Messages app, which froze in the middle of the syncing process. Upon opening his messages, some of the conversations disappeared mysteriously. Another redditor who goes by the name of katiemcccc says that all messages from the Pixel 3 were erased (2 years of messages) and they didn't reappear despite restarting the phone, or installing/uninstalling updates and chatting with Google help. It's unclear if this is fully related to the Messages app or it has anything to do with the November security update, but if you have text messages on your Pixel 3, you might want to make a backup. The only way to recover the lost messages is to revert to the previous version of Messages app, but this doesn't work for everyone, so there must be more to this. ANOTHER BUG for the Pixel 3, Google?! At this point, it’s not even comical anymore, it’s just sad. Google either needs to get it together ASAP or exit the hardware business and leave that to others while they just focus on the Android software. Too many issues since the OG Pixels were released and three seems to be no end to them 3 generations later. You heard it right here folks, Google should exit the hardware business because this guy said so. They have prescription for the pain you're experiencing from my comment. You mean like the pain you're experiencing from the Pixel phones that's causing you to throw shade at them just because I said something about Nokia that you didn't like? No, I mean the pain you’re experiencing from Nokia branded smartphones that cause you to throw shade at them just because I’m saying something about Google that you don’t like. I don't throw shade at Nokia. As you can see below, several people have called you out on your ridiculous bs. You always throw shade on HMD/Nokia articles, so cut the lies. Several people have even called you out for throwing shade on BlackBerry, Huawei, and Samsung articles. I haven't thrown any shade at Samsung let alone even post on their articles. Stop lying. Everything I said about blackberry is either opinion or rooted in truth with supporting evidence that you continue to deny. Huawei has had multiple issues that have been confirmed by multiple users on this site. That's a fact. Yes you have, and you were even called out for it on a recent Apple article. Stop lying in order to change the facts to suit your false narrative. Everything I've said about Pixel Phones is from information from documented facts. You just continue to delfect and deny it. Pixel phones have numerous documented issues since their first release from a plethora of credible sources. That's a fact. Only issue Pixel 1 had a launch lift to wake ambient display... then the hardware problem on some where the solder would break that connects the mic and loud speaker... other than that it was and still is a pretty solid phone/launch. Pixel 2/2 XL weren't bad other than the overblown Pixel 2 XL screen quality. Pixel 3 I can agree are a disappointment because it seems google didn't pay attention to feedback from the Pixel 2 or from other phone in general. Im curious to see what the Pixel 4 brings as it will be the first Pixel designed and built by the acquire HTC team. The Pixel 1-3 were designed by Googles hardware team. https://www.androidauthority.com/google-pixel-xl-problems-fix-734560/ That link has a list of the Pixel 1 problems. Seems to be more than what you are saying. 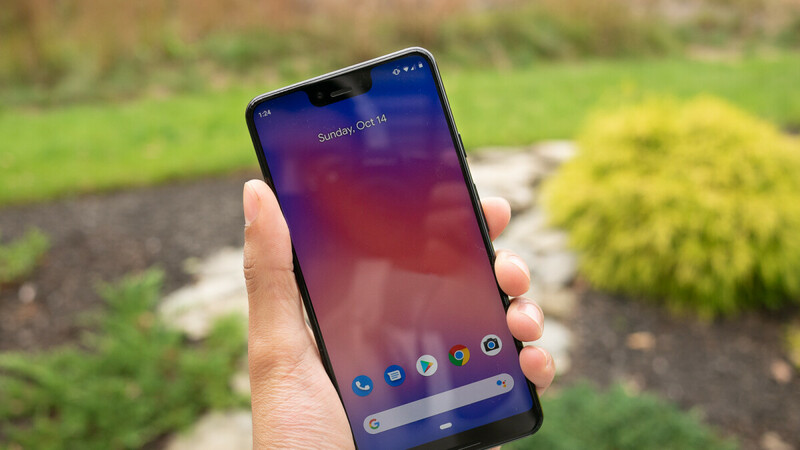 https://www.gottabemobile.com/common-google-pixel-2-problems-how-to-fix-them/ Here is a list of some Pixel 2 problems. Again, seems to be more than what you're saying. I agree. Some things are overblown to ridiculous levels especially from some people who have never even used a Pixel phone because they can never tell what particular issues they have encountered. Documented issues trump your deflection from the real issues that Pixel smartphones are having any day of the week. Documented experience from "credible" users trump your ignorance against the real issues you keep exaggerating. You’re neither a user of Pixel devices or credible. And the documented proof in the links I’ve provided trump your deflection and ignorance from the real issues that Pixel devices and it’s users face any day of the week. Nothing exaggerated about any these issues, just your deflection from them. You even agreed with comment #4 when he listed the many issues of the 3rd generation Pixels. You’re only deflecting and disagreeing with me because it’s me that’s saying it, proving your own hypocrisy. You mistake me for you because everything you say is rooted in personal bias, not facts from experience because you don't have any. I never said that the Pixel 3 didn't have issues, but I'm not overblowning like you are and throwing a hissy fit when people who haven't had any issues chime in. I'm disagreeing with you because you are wrong. Again. You're referring to yourself again, as usual. What I say is rooted from documented facts. YOU comment based on personal bias, as you're doing right now in this very article. You deflect from the real issues that Pixel phones are having, and even say they are overblown even when there is evidence to the contrary. You throw tantrums and attack anyone that points these issues out. You're disagreeing with me even though I am correct because it's me that is saying it. Period. I assume you have the same advice for every single manufacturer then. Why are you all getting so triggered by my comment? Why are you dodging his question? He didn’t ask a question. Learn to differentiate between a question and a full-on assumption. I suppose you're going to move the goalpost back to deflect again. I suppose you’re going to keep deflecting and changing the facts to suit your false narrative again. List of Pixel 3 issues to date that I have seen around the web. -Some photos not being saved -Memory management (Unable to multitask) -Added notch on the side -Videos not playing in the center (horizontal mode) -Speaker distortion/ Excessive Vibration from loud music -Sub-par scratch resistance -Overheats and shuts down while charging -Text message disappear -Next??? sources: Various. and im sure there are much more Some glitches more severe than others. Im an Android user and have always been but this grinds my gears to see Android's "flagship" company embarrass themselves. I agree. This is getting beyond ridiculous now. it's not a bug. it's a feature, the AI inside the phone did that for you, cleans up your phone.